Savory jams have been trending for a while now. This includes jams made with savory ingredients, such as bacon jam or tomato jam, or fruit-based preserves using savory ingredients, such as spices and herbs, to tone down the sweetness level. For example, try adding balsamic and black pepper to strawberry jam; your mind will be blown. This jam made with Tropea onions is another excellent example. Native to Calabria in southern Italy, Tropea onions are mild and sweet, which helps them caramelize nicely for this jam. 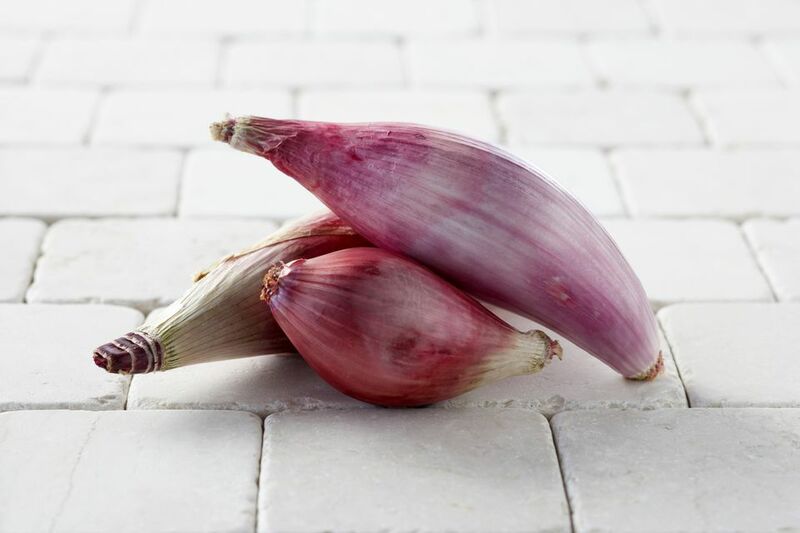 Tropea onions are red, with a papery skin. They are usually long rather than round and are sometimes marketed as "torpedo onions" here in the states. Look for onions with a bright color, and the greens still attached. The greens should look fresh and pert, not wilted. This jam should take on a dense, almost sticky consistency. It's delicious served alongside cheese, especially sharper cheese like cheddar or pecorino. It can also make a lovely condiment alongside grilled or roasted meats, much like a chutney. Because onions are a low-acid food, this recipe is not recommended for water bath canning. If you want to get technical about it, this is not a jam so much as a conserve, since it does not get blended into a smooth purée. Call it what you like. This recipe comes from my friend Marzia Brigante, who teaches preserving classes in Emilia-Romagna. She has also provided recipes for a simple yet elegant lemon marmalade, green tomato jam, Abate pear conserve with lemon and walnut, and the traditional Romagnolo conserve called savòr. If you'd like to learn to preserve with Marzia, I can take you there. Peel the papery skins off the onions. Slice the onions in half pole-to-pole, and slice thinly crosswise. Combine the sliced onions with the sugar, bay leaves, cloves and wine in a large, non-reactive pot. Cover, and refrigerate overnight. The next day, place the pot over medium-high heat. Add the raisins. Bring the mixture to a boil, then reduce the heat to medium and cook, stirring occasionally to prevent scorching, until most of the moisture evaporates and the jam thickens; this can take two or three hours. The jam is ready when it mounds on a spatula and liquids do not run freely. Pour the jam into clean jars. Allow to cool to room temperature and store in the refrigerator for up to three weeks, or in the freezer for up to three months.